Saint Richard Catholic Church is a Eucharistic Community that strives to follow Jesus Christ by using our gifts and blessings to reach out to those with any need and live our faith in love and service. 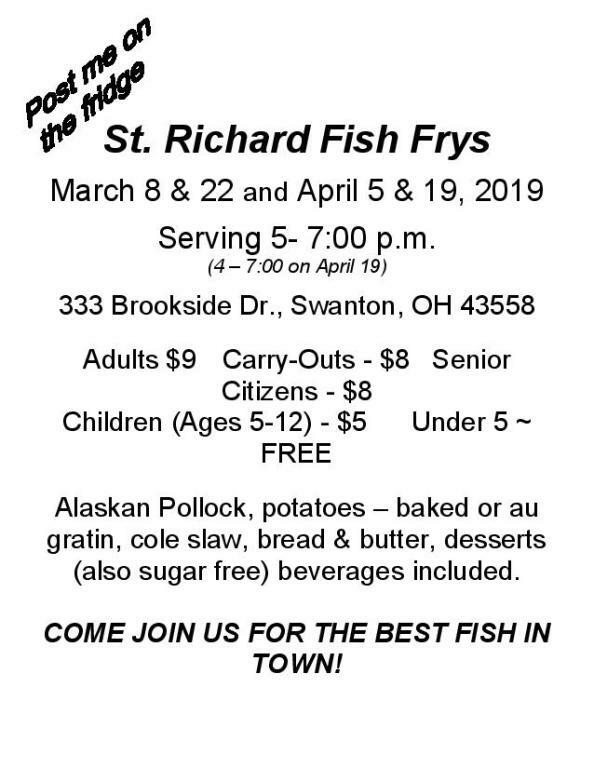 Welcome to the website for Saint Richard Catholic Parish in Swanton, Ohio. We hope that you find this website useful in getting to know our congregation and our school community. 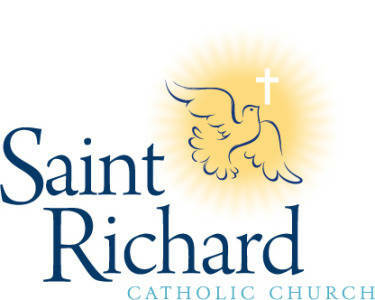 We, the members of St. Richard, love the Lord Jesus Christ, His Holy Catholic Church, our parish, and our local community. As a parish, we value the Sacraments as our greatest treasure, and we are committed to being a people of prayer, formed in Gospel values, and active in serving our neighbors through works of mercy to those in need. If you are able to visit us in person, we are pleased to have you join us for worship or fellowship. St. Richard Church has made Online Giving available for our weekly offerings, as well as other parish collections including St. Vincent De Paul, PSR Registration and Memorials. Donating is simple, safe, and secure and take less than five minutes.